Fine piece in this week's BusinessWeek on Amazon. Many fine insights including one that offers a window into how Jeff Bezos thinks. Mr. Bezos, famously, has a very public email address & encourages customers to contact him directly. Some customer complaints generate his famous '?' emails, which trigger intense review & problem solving in the affected departments. Some question this seemingly random approach. 'How can an organization for focused & data-driven react so strongly to 'random' emails? ', they ask. 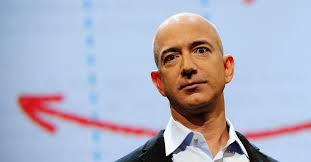 In my view, Bezos, a profound process thinker, sees his customer email as a window on Amazon's processes. Each ? email allows him to test different sections of the 'spider web' of Amazon's management system. How robust are this group's processes? How sound is their connection to their customers? How well do they understand their various market segments? How quickly do they respond to issues? How articulate is this team? Do they have integrity? Do they fess up to problems and stick together, or do they turn on one another? Each is an excellent embedded test of Amazon's system & people. I'm reminded of my Toyota senseis, on supplier qualification visits. They'd ignore the glitzy PPT presentation, and the 'guided tour', in favor of 'random walks' in the gemba. During these walks, we'd do 'odd' stuff, like reviewing forklift and fire extinguisher maintenance records in detail. Our hosts were invariably confused by our attention to such 'minutiae'. But such 'minutiae' offered us a window on the prospective supplier's processes. If they can't manage forklift & fire extinguisher maintenance, how are they going to supply these volumes & mixes at this level of quality & lead time?